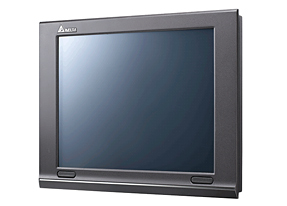 The DOP-W Series is a large Human Machine Interface (HMI) that comes with a high resolution and high brightness touch screen in 10.4”, 12” and 15” sizes. With the latest Cortex-A8 processor for up to 1GHz pulse wave, the DOP-W Series delivers high performance with rapid response. Its rugged and CE-certified aluminum enclosure protects from vibration and changing ambient temperatures, and features an IP65 waterproof front panel for harsh environments. Built-in stereo speakers increase utility and flexibility. The DOP-W Series complies with CE and UL safety approvals and provides an efficient and competitive solution to meet customer needs for a wide range of high-end industrial automation applications. PURCHASE YOUR DELTA DOP-W157B HUMAN MACHINE INTERFACE TODAY!